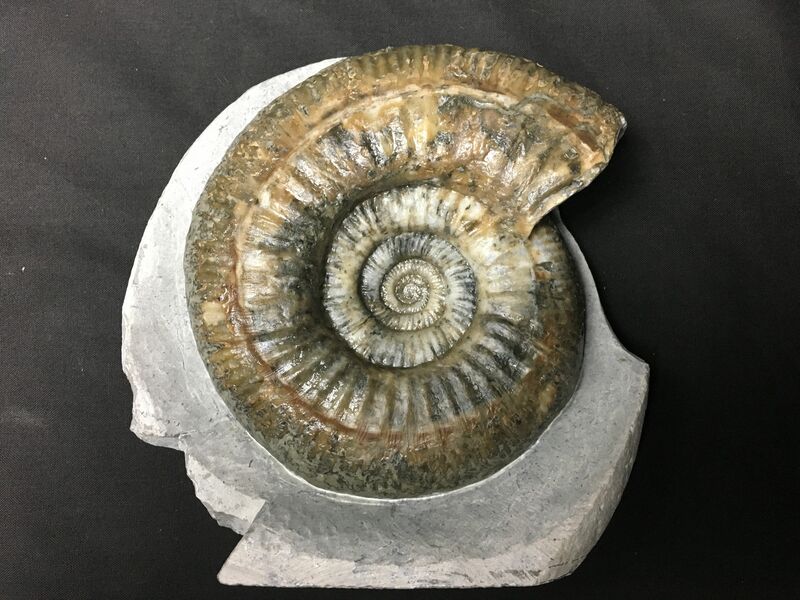 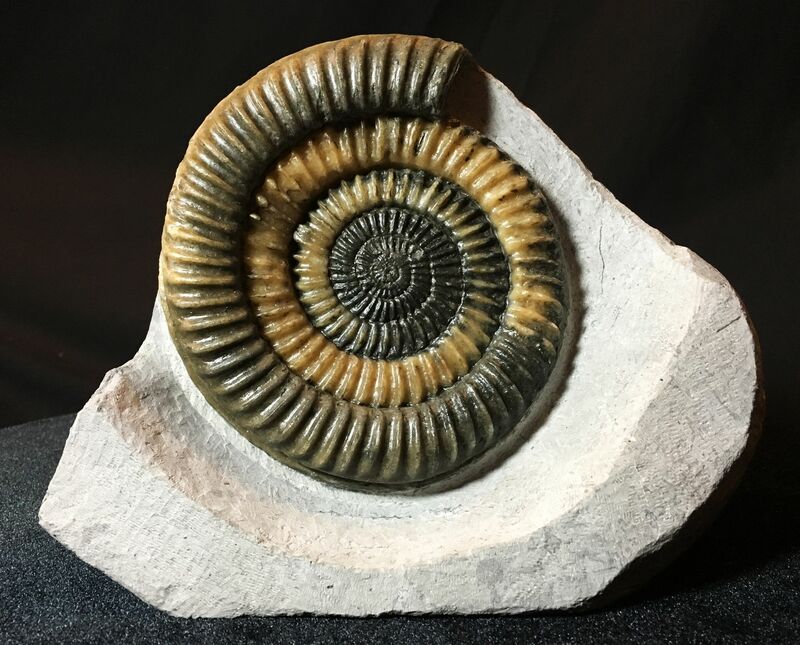 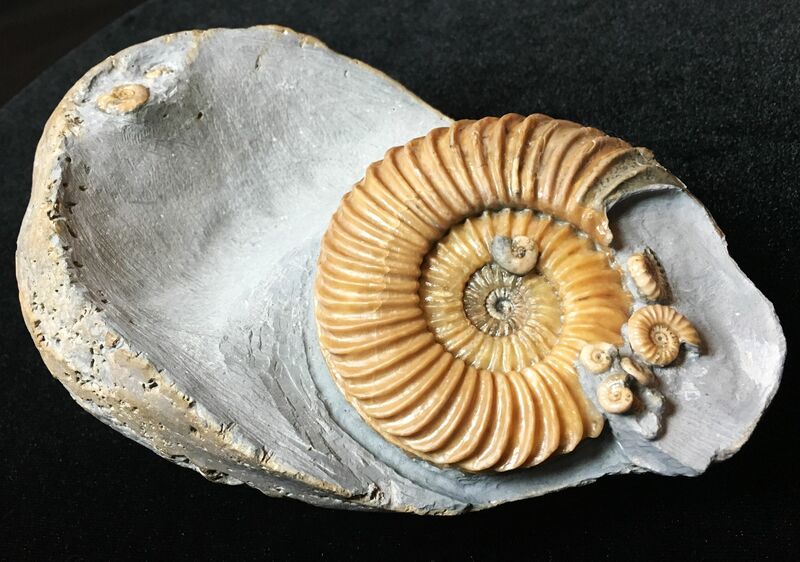 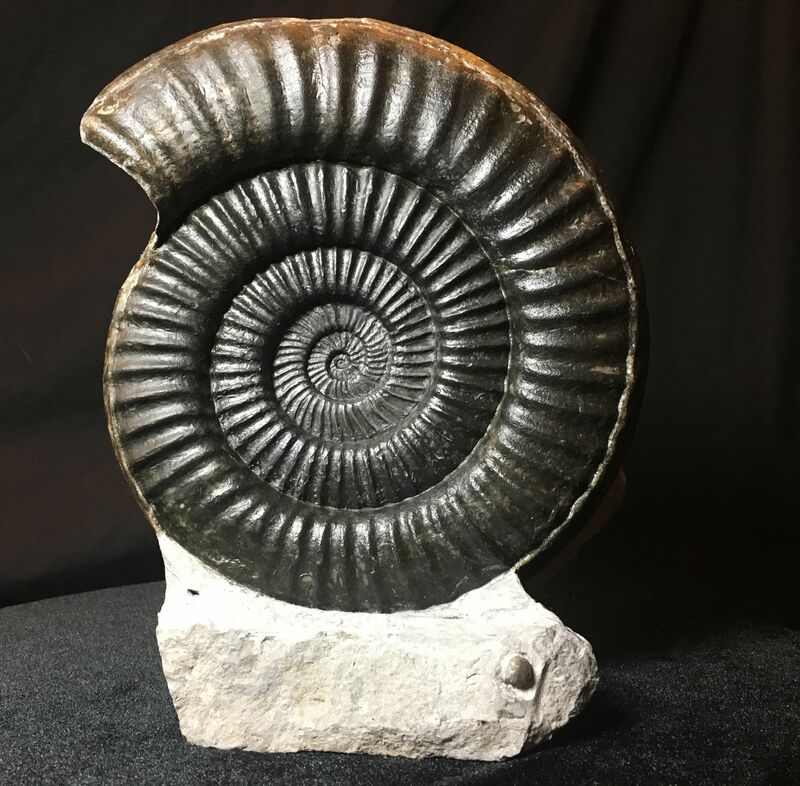 Xiphoceras Ammonite with light shining through calcite centre. 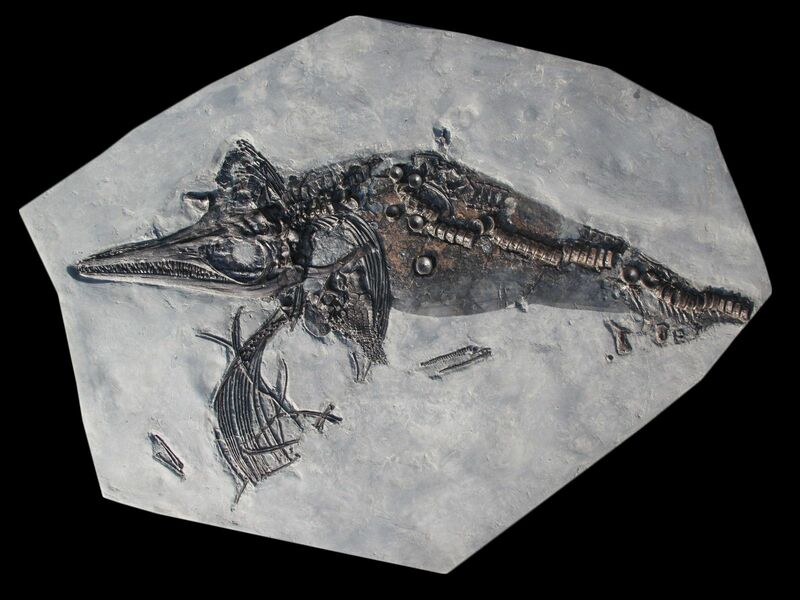 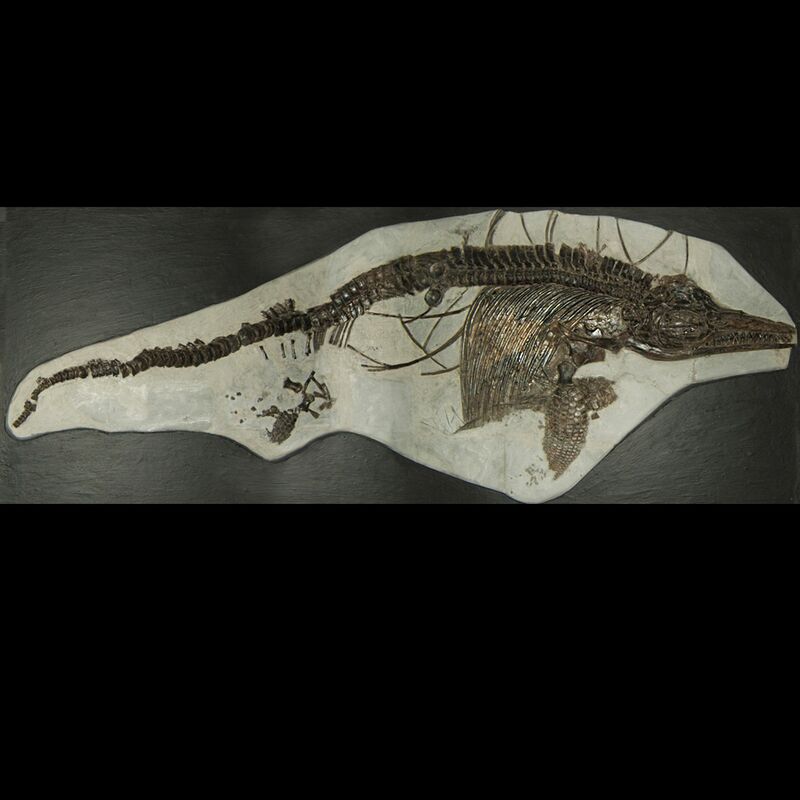 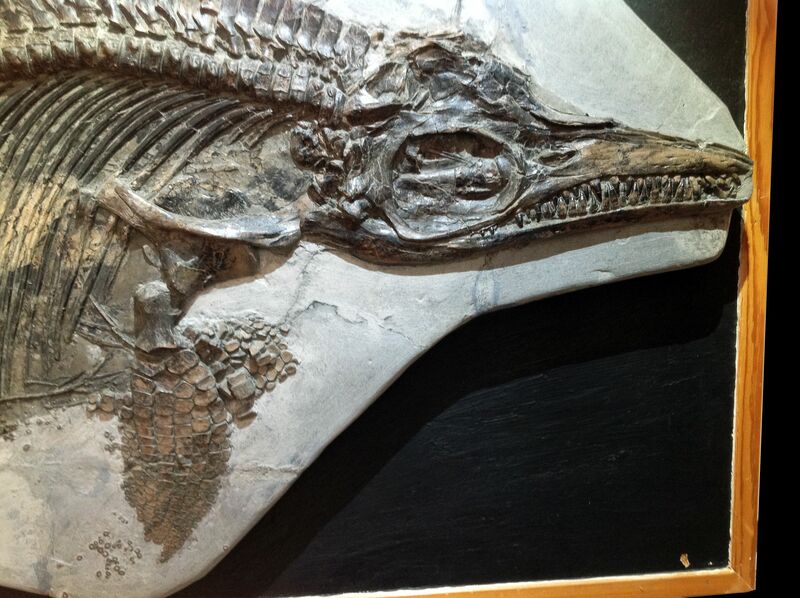 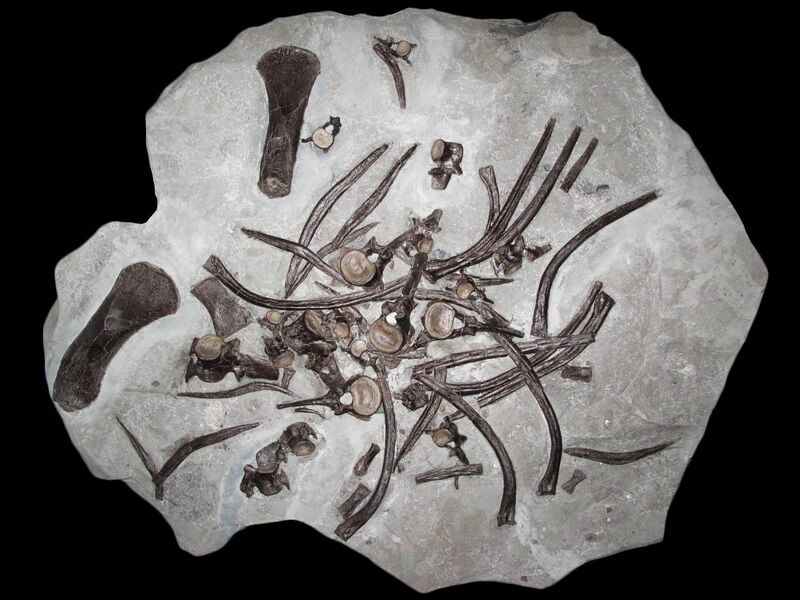 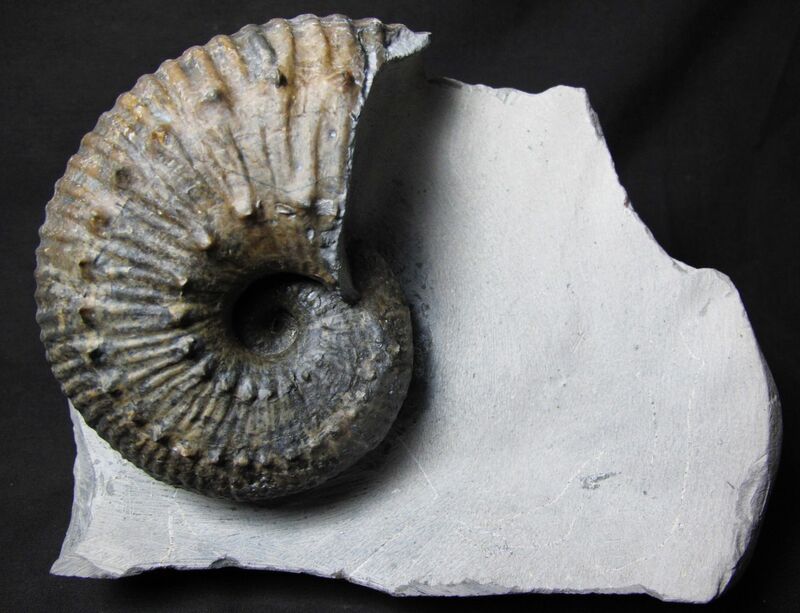 Asteroceras sp. 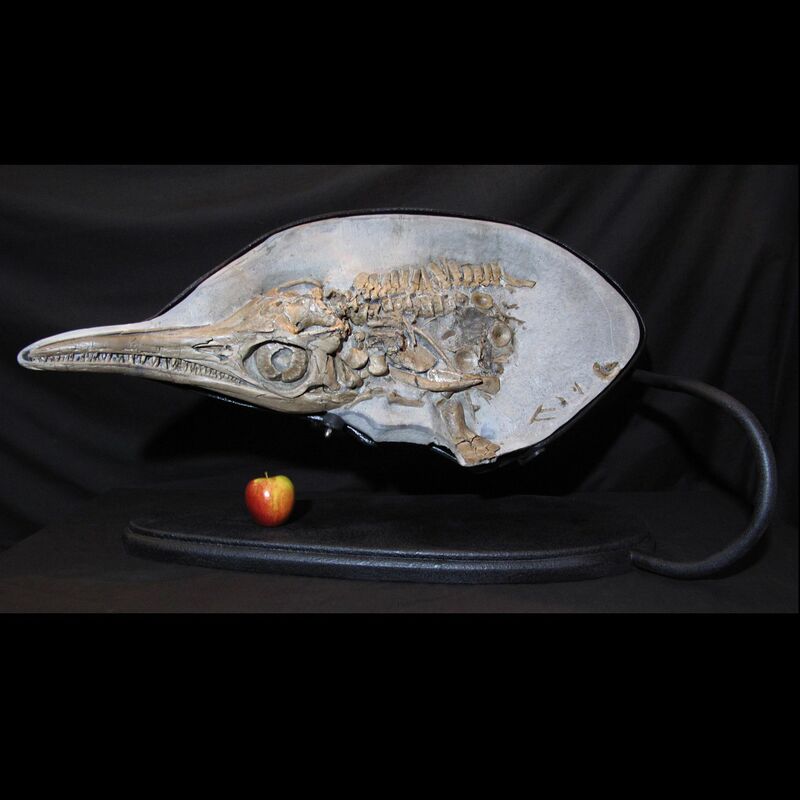 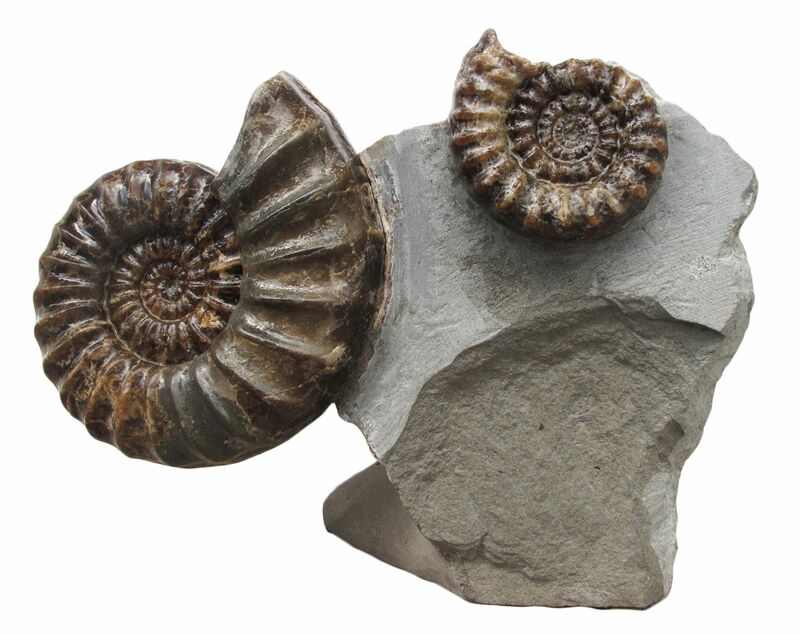 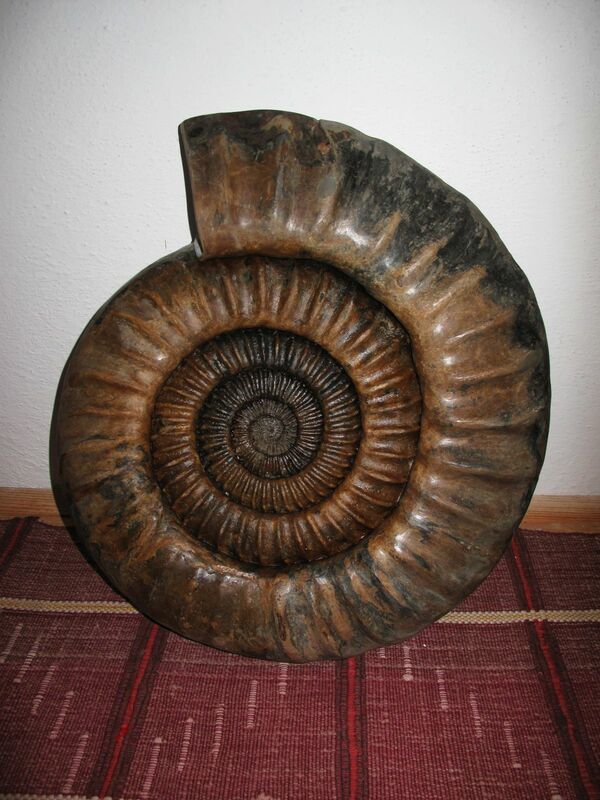 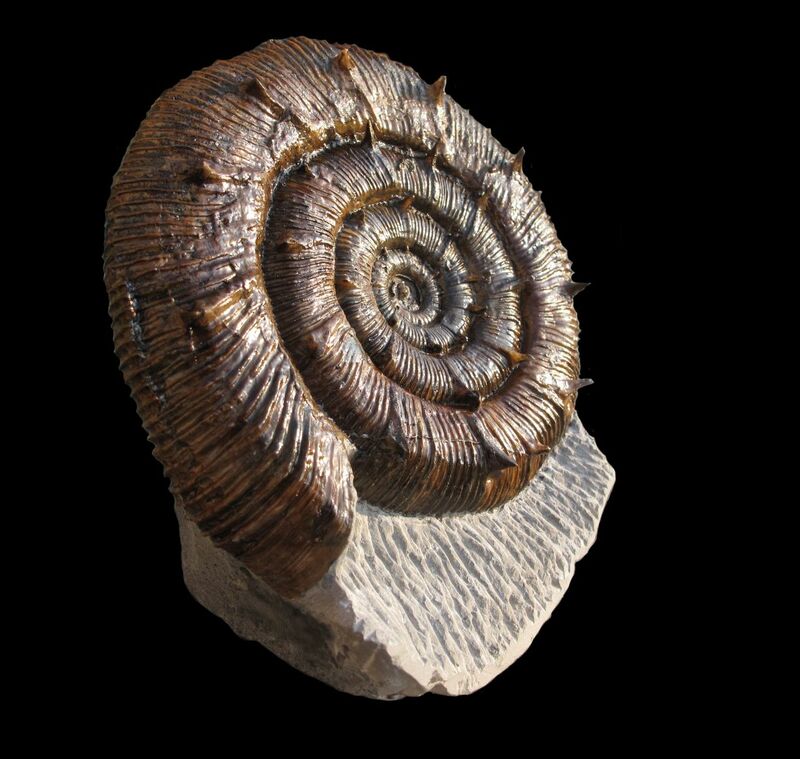 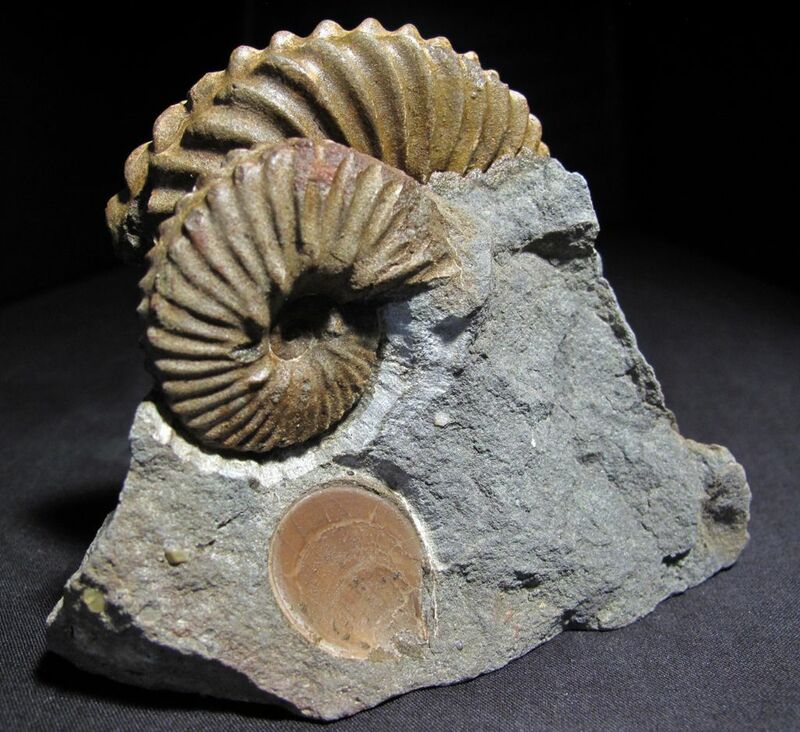 and Promicroceras ammonites. 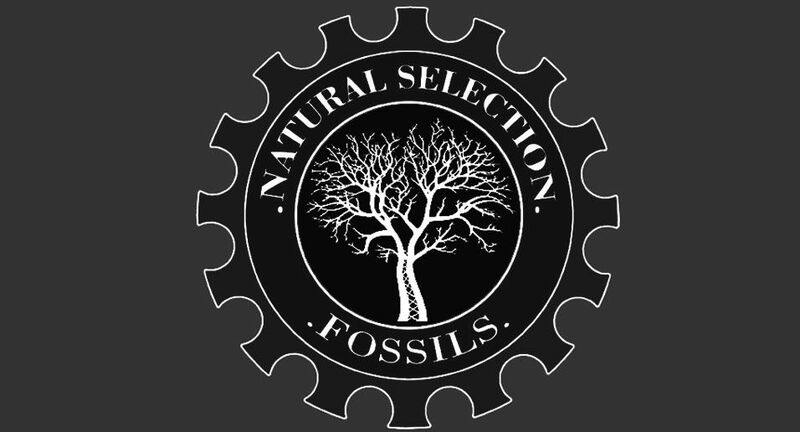 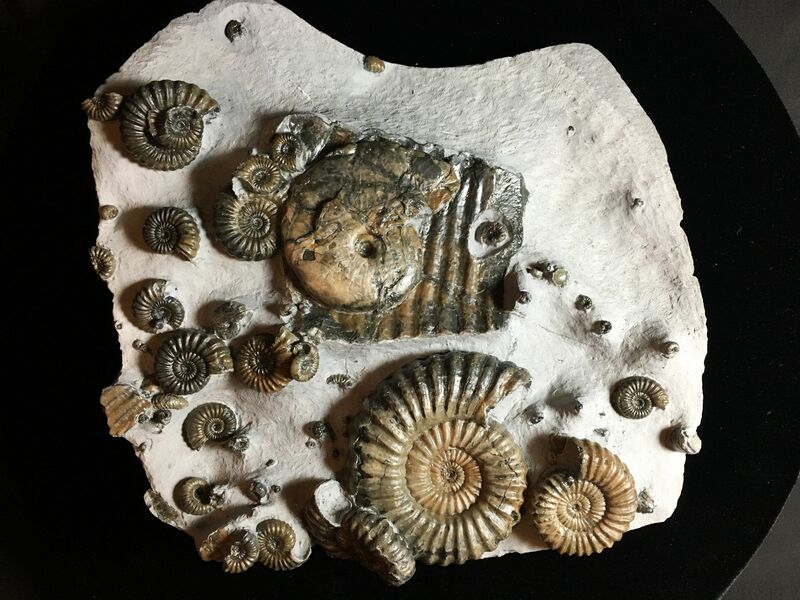 Multiple fossil ammonite assemblage including Liparoceras (body chamber), Tragyphyloceras, and Aegoceras ammonites.